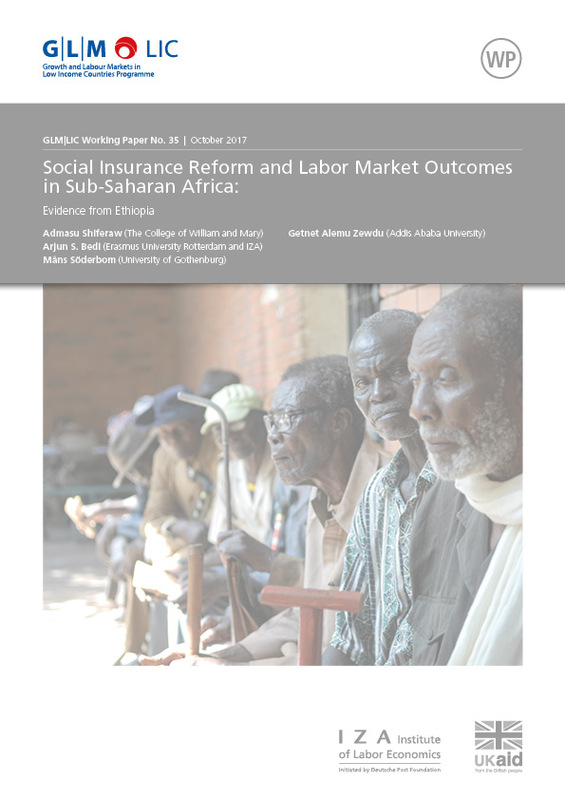 This paper examines the labor market implications of a mandatory social insurance scheme introduced in Ethiopia in 2011 for private sector employees in the formal sector. We use firm-level panel data and exploit differences in pre-reform pension plans across firms to identify the effects of the reform. We find no evidence of employers fully shifting the cost of pension benefits to workers in the form of lower wages. In fact the reform seems to be associated with an increase in real wage rates particularly among large firms. Firm-level employment declined after the reform with a greater contraction among firms without pre-reform provident funds and firms that were initially small. The composition of the workforce also shifted in favor of skilled workers although this effect may not be attributed entirely to the pension reform. We also find an increase in firm-level investment, capital per worker, and labor productivity.